From Melbourne to San Francisco and Paris to Rome, cities unite as the hustle and bustle of the day begins. 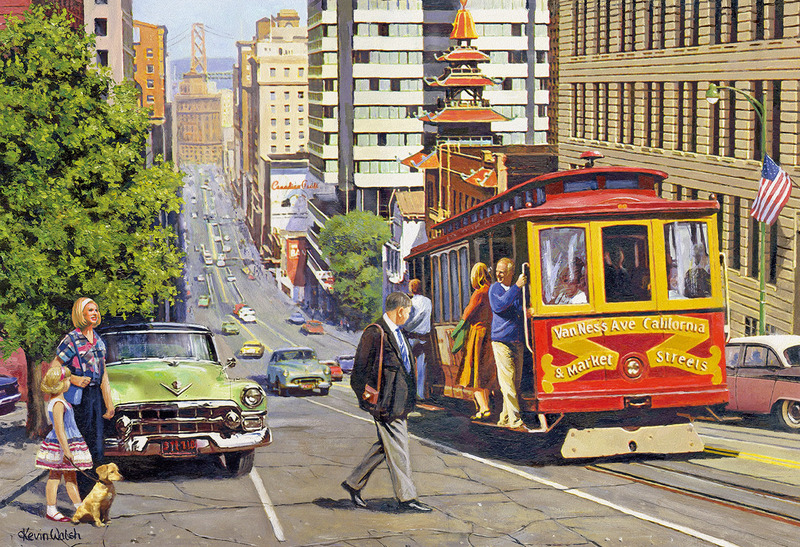 Artist Kevin Walsh captures, in these timeless scenes, the differences and similarities of these four Cities of the World. 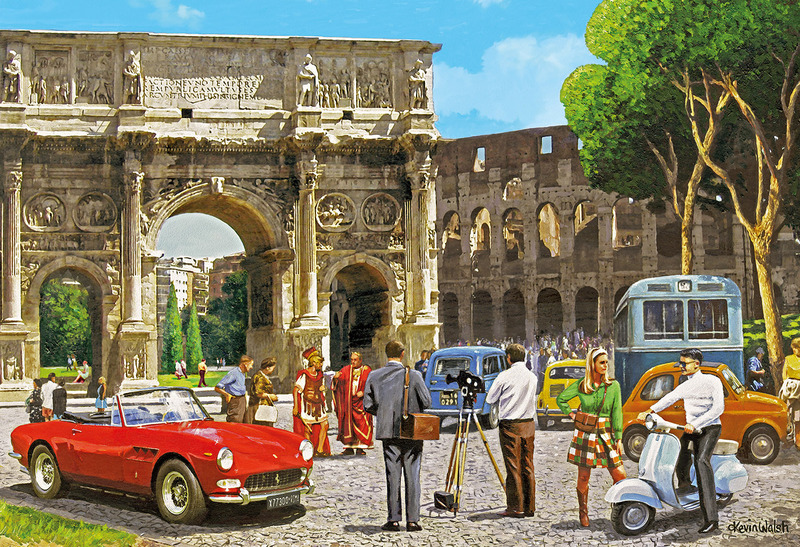 Let these colourful and highly detailed images transport you around the globe, for a fraction of what you would pay at your travel agent! 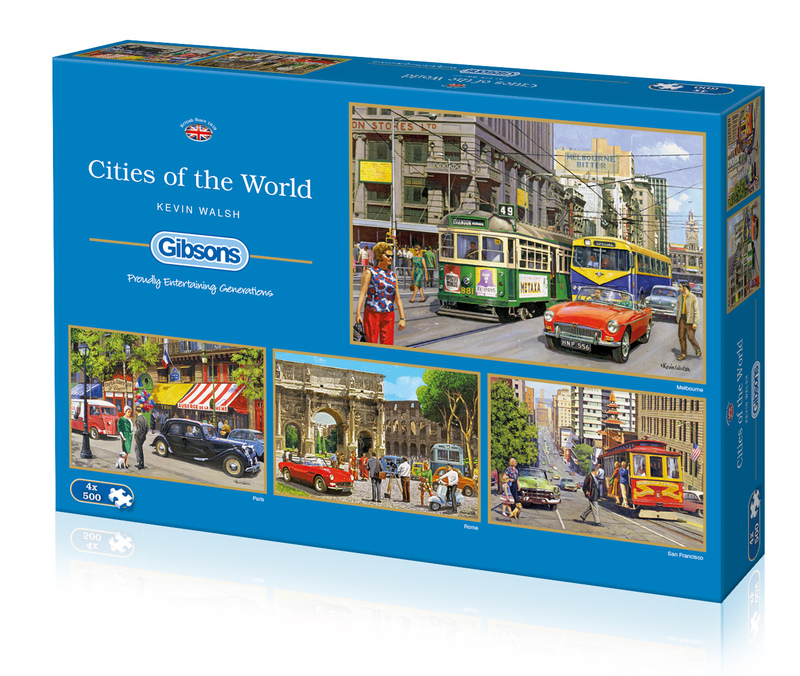 This set of four 500 piece puzzles allows you to recreate a range of unique scenes from around the world. As with all Gibsons jigsaws, the beautifully illustrated pieces are made from the highest quality 100% recycled board and are therefore a pleasure to work with again and again. 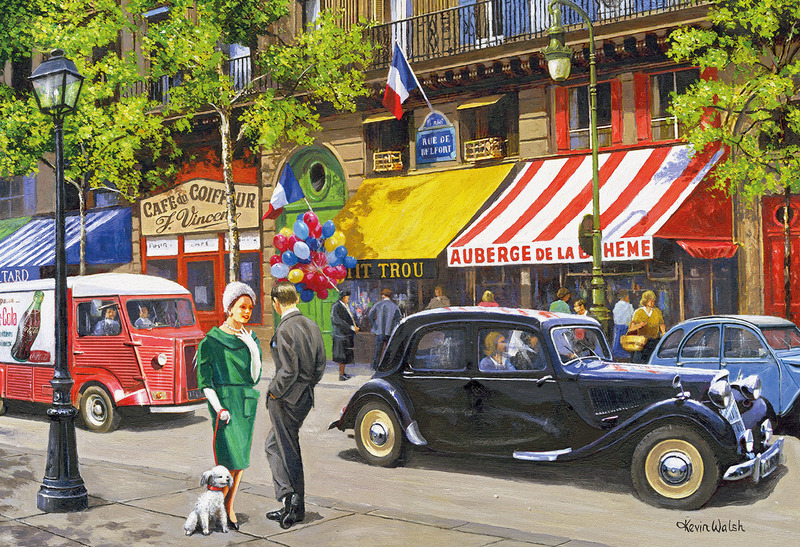 Beautifully painted by Kevin Walsh.